Bahria Town Islamabad mainly consists two projects. First is Bahria Enclave project which is relatively small as compared to other Bahria Town projects and secondly, the Mall of Islamabad which is a boutique shopping mall and luxury apartments. Bahria Enclave is a master planned gated community catering mostly the middle and elite class. It was launched in July 2011. It is located near Chak Shahzad, approximately 15 minutes drives from Islamabad. 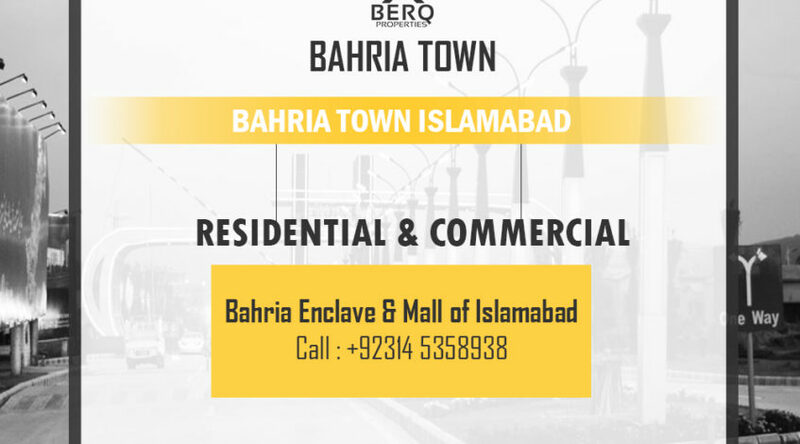 Currently, Bahria Enclave is accessible from Park road and Kuri Road through Kashmir highway and Islamabad expressway. The development of dedicated four-lane road is in progress which will link the main Kuri road to Bahria Enclave. The Mall of Islamabad is a mixed-use residential and commercial projects in Islamabad by Bahria Town. It consists of 1,2, and 3 bedroom apartments, offices, and shops. In addition to that, it will have a 5-star hotel, health club & luxurious spa, infinity sky pool and a rooftop restaurant.